Absolutely gorgeous!!! You captured the sun rays perfectly! Even though I know this is the death zone, this photo makes me long to be there. 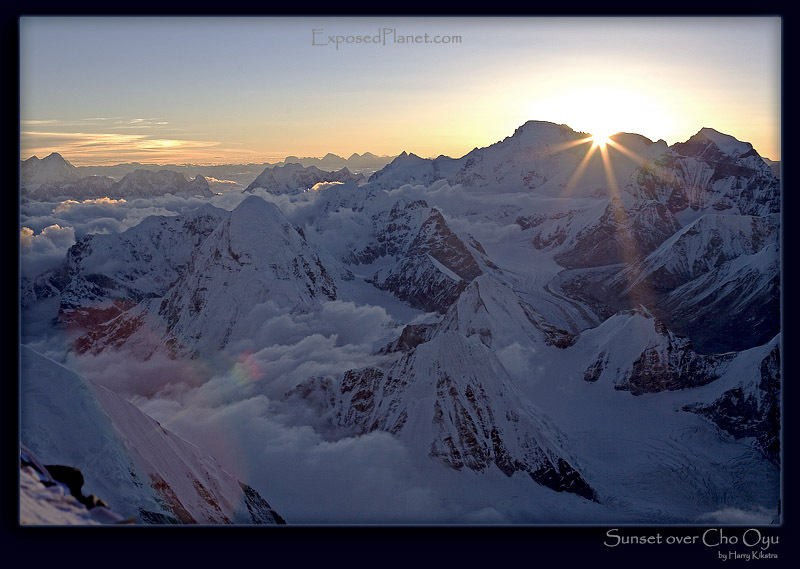 The story behind "Sunset from Camp 2, Everest"
After arriving at Camp 2 at 7600m altitude I felt great. The wind had almost dissappeared, te sky was clear and we were camped on a small rock platform overlooking ABC, Noth Col camp, Pumori, Cho Oyu and many other great mountains.